Chief marketing officer and chief customer officer at Mars, Andrew Clarke, explains why he wants to ramp up purpose-driven activation for all his brands and talks about creating a more sustainable form of globalisation. "Consumers today want to have an experience with brands that are authentic, brands they can trust. The Mars ‘Five Principles’ of quality, responsibility, mutuality, efficiency and freedom are values we stand by and the way Mars has always done business. We just need to tell our story better," says the Mars marketing czar during an interview at Cannes Lions Festival. The Mars veteran of 17 years, who runs the marketing of the $35bn (£27bn) confectionary-to-petcare business, hinted at how the family-run business is learning to be more open. Clarke adds that he recognises the changing mood of the people and the waning trust in businesses and organisations, but does not believe global companies are retreating as a result or that the concept of globalisation is unravelling. Instead, Clarke argues, globalisation has been an overall positive force that has created wealth and that corporations need to start looking at how to create a sustainable form of globalisation. "The question we need to be asking ourselves is: how do we drive and accelerate growth? While making sure that we are also thinking from sustainability to creation of jobs point of view. It is about doing business the right way. There is a real opportunity to make a positive difference." Clarke cites various examples of how Mars has been doing business for good – including the Sustainable Cocoa Initiative work to support innovative growing techniques and its Centre for Pet Nutrition that produces various scientific research papers on pets and pet ownership to help the industry use for their own innovation in this sector. "We just haven’t spoken about any of this as much as we could," he admits. "It is very important consumers know who you are and what you stand for, and you would see more of that in the future." Mars points to the much-lauded Maltesers’ campaign championing diversity and disability in the UK, and the "Feed for good" campaign – that works on the universal truth that dogs make our lives better – for the Pedigree dog food brand in the US, Brazil, New Zealand and Russia as examples of how the company has been successfully driving "real brand purpose." But it is not just doing good but also how to continue growing the culture of evidence-based marketing, that appears to keep Clarke up at night. It was his predecessor Bruce McColl (who stepped down last year) who was a long-term torch bearer of the evidence based marketing, an approach based on constant testing and learning, data and analysis and research. 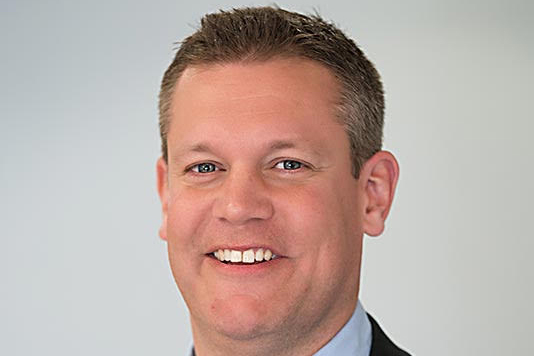 A year ago, when the then chief customer officer Clarke stepped into McColl’s shoes, he was given the dual role to "transform the sales division with marketing and increasingly with data and analytics." Clarke adds he sees his priorities to "not just ramp up our evidence-based growth philosophy by growing our various categories but it is also rooted in not just about how we grow categories by making sure we’ve got tangible evidence that delivers sales uplift. But rooted in how we drive digital, at the heart is which is always brilliant creativity, and connect the pieces together." He points to the interactive "Hungerithm" Twitter campaign last year in Australia, adjusting the price of Snickers to the mood of the internet. Snickers teamed up with 7-Eleven for an interactive campaign which saw prices of the brand's flagship chocolate bar lower when the internet got angry. While keen to establish that proof of performance is what is driving his overall strategy at Mars, Clarke also insists on a fundamental need for the industry to come together and prepare for the future as media and marketing landscape becomes increasingly complex and crowded. "Viewability and brand safety are concerns for not just Mars, but all of us. Like many, I’m relying on my media partners to provide me data when it comes to viewability and transparency but just not quite satisfied with where we are on these issues as an industry. But I do firmly believe that collaboration with the likes of Facebook and Google and not pulling away from them is the only way forward." A year into the role, Clarke has set down three goals for next year: continuing purpose driven activation for all the big brands; getting much more transparency on viewability and brand safety "collaboratively"; and further ramping up creativity, by building creative, media, PR, data and tech capabilities.